Feltcraft by Petra Berger. 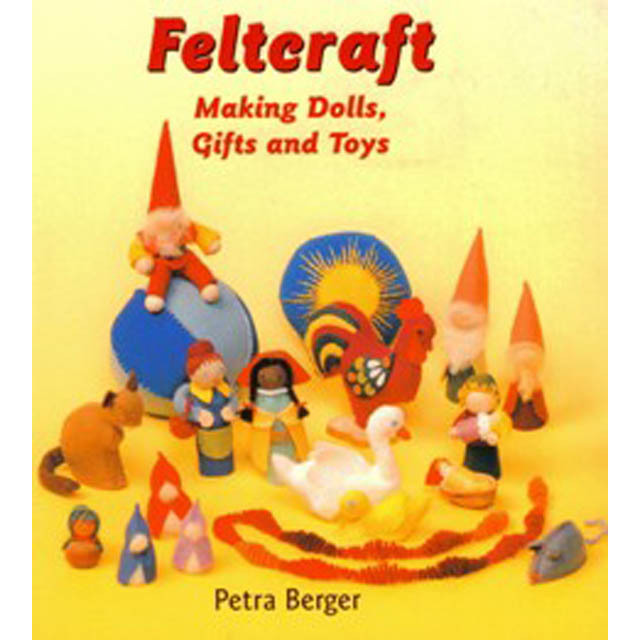 This book describes the old creative craft of felting. Felt is a durable and flexible material made from wool. Because it doesn’t fray, it is ideal for children to work with. This book includes patterns for felt animals, finger puppets, gnomes, blossom fairies, dolls, felt balls and gifts. We recommend using only 100% wool felt for longer lasting toys as it is a natural fibre. Please note this book has been reprinted with a blue cover.